Indigo Everyday Straight Leg Jeans is rated 3.8 out of 5 by 18. 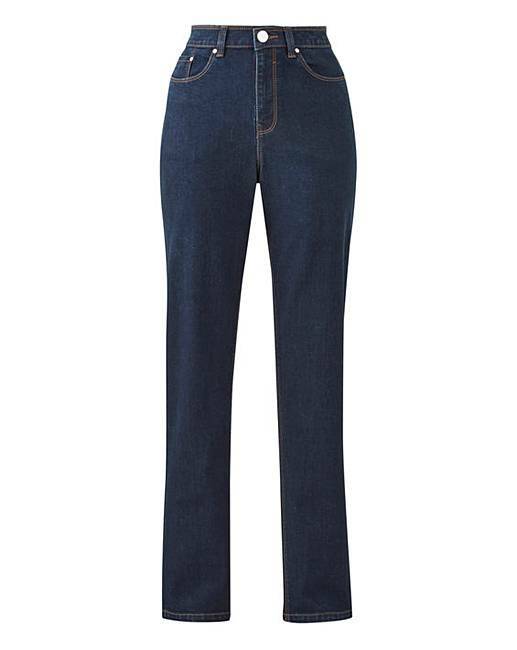 The perfect jeans for everyday, these trusty straight-leg jeans are a must-have style staple in every woman's wardrobe. Improved this season with a more comfortable stretch denim, a better fit and an elasticated waistband, these jeans look and feel great. Style with a jersey tee and flats or vamp them up with heels and a chic blouse for the evening. Rated 2 out of 5 by Weechookieburdie from Cut small to size Wearable but not very comfortable due to being made small to size quoted...waist a struggle to close, legs cut very narrow for "plus size" jeans. Unlikely I would buy again but if I did, would have to go up at least one size. Rated 4 out of 5 by Maggiebear from Comfy Great for everyday wear and getting about with the grandchildren. Rated 5 out of 5 by Tricia 52 from Great fit These jeans fit really well and are very flattering. Great value for money too. Rated 4 out of 5 by Audrey from Great fit! Very stretchy. Managed to get in a size smaller and still comfortable. Wait not got much stretch in it so after eating would need to undo button. Rated 4 out of 5 by Polly from Confortable fit. 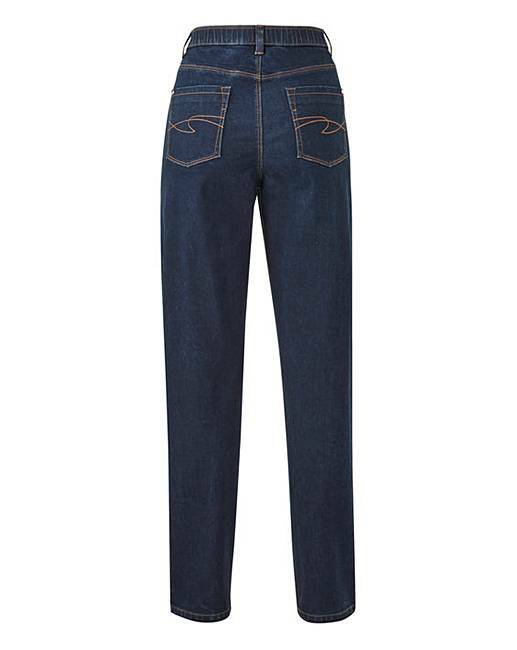 Jeans look good and great value and so comfortable to wear and a must for your wardrobe.A smart casual Jean. Rated 5 out of 5 by Rachel from Very Comfortable Brought these, so glad I did. They are very comfortable to wear and stylish.